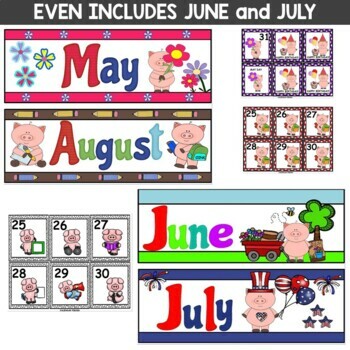 Seasonal headings with matching pig calendar numbers will make your morning math meetings and calendar time meaningful, engaging, and favorite time of the day with this 12 month pig classroom calendar set that includes ALL US Holidays! 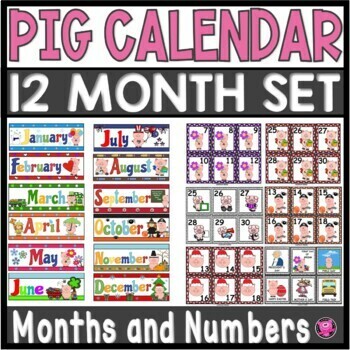 Math Meetings and Classrooms will be PIGARRIFIC with this OINKTASTIC Pig Theme Classroom 12 Month Calendar. • IT'S GOING TO BE A PIGARRIFIC DAY! Calendar Numbers can be adjusted to fit Calendar Pocket Charts, or Calendar Posters by going to your print settings. Printing instructions for Calendar Sizes are included. 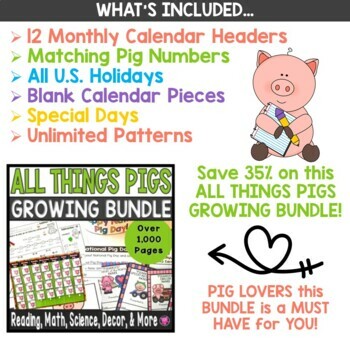 You may also be interested in these other Pig Theme Products. 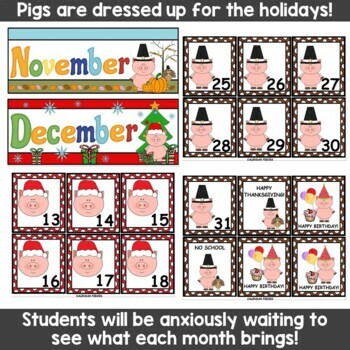 Just click on links to see if any of these resources will make your Pig Classroom OINKTASTIC!